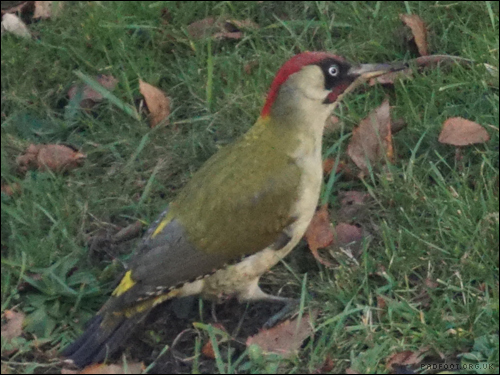 Green Woodpeckers have the strangest call of all the birds I’ve heard around here – the RSPB has a really clear audio of that call on their site. 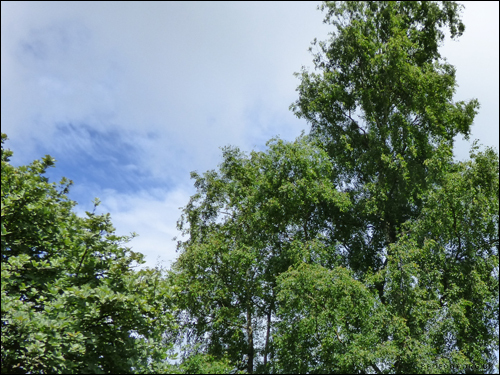 Once we heard the Woodpecker, it was clear that it was sitting in the trees…. perfectly hidden from view! 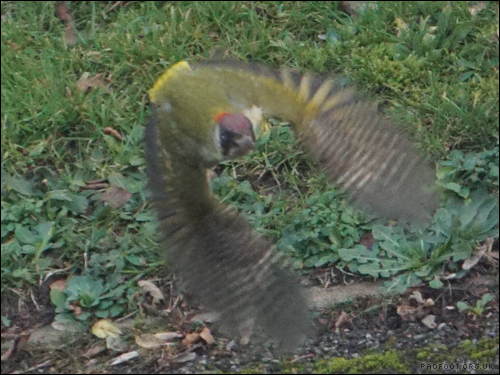 As luck would have it, the Green Woodpecker eventually flew from the tree – right over our heads! 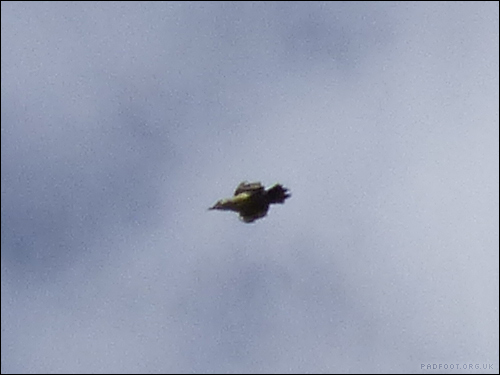 It’s certainly not a laid back flyer, but I noticed it seems to tuck the wings in after a few flaps, which I guess is for a more streamlined flight. It does give the bird a strange profile if you catch sight of it like that! 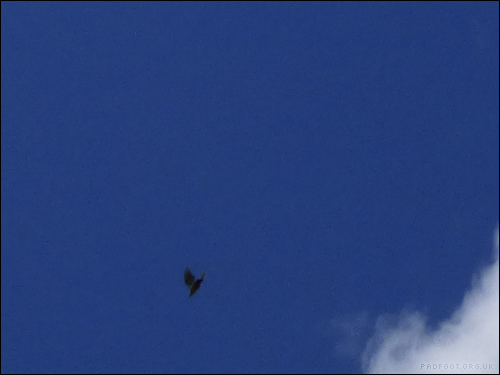 No sooner had it flown overhead, it changed direction, veering off to the right – I was able to get another photo just before it was obscured by houses. 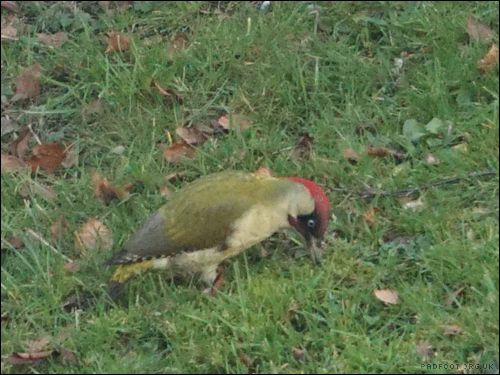 I know that some woodpeckers eat ants, but I was surprised to discover that Green Woodpeckers only eat ants – they must have to eat thousands to keep their energy levels up, given the size of the bird! This entry was posted in Dragon Goes Wild and tagged 365 days wild, Woodpecker on July 12, 2016 by Dragon.